What else can you do while in Winchester, VA? Time to go to the park! With the kids! Disc Golf is perfect for the whole family! You may not have the discs you need so I will bring some extras for you to use. After the round you may want to purchase your very own for the next time you play. Discs can be bought online or at any of the local stores that carry them. or with an App for your smartphone! Yes, this is a little different but you're not going to believe how much fun it is! 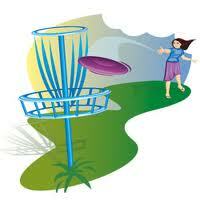 With Basic Disc Golf Outing you will have a "frisbee pro" to show you the course and all you need to know about driving, laying up and putting. I'll bring the equipment and scorecards. We may not play all 18 holes. Some are easier than others. From 150 feet to 600 feet. We'll stay away from poison ivy. Running shoes are better than flip-flops or sandals. Bring water, hat and sun protection. It's up to you if we keep score, play doubles or some other format. The language of golf is all the same. Birdie! Based on my availability feel free to call or email 1-877-477-2555 to discuss details. Abram's Delight Historical House and the Visitors Center. Plenty of free parking and picnic tables! And I'll show you some World Class freestyle frisbee tricks!